All voices matter when it comes to equity for all. Here, we’ll bring you the unique voices inspiring us and driving the narrative forward, both inside our walls and out. What happens when eight gifted people gather to learn and speak their truth? We’ve all got a story to share and our own personal and unique truth. Most of us however, need a guide to help us find this truth and tell it in an impactful way. 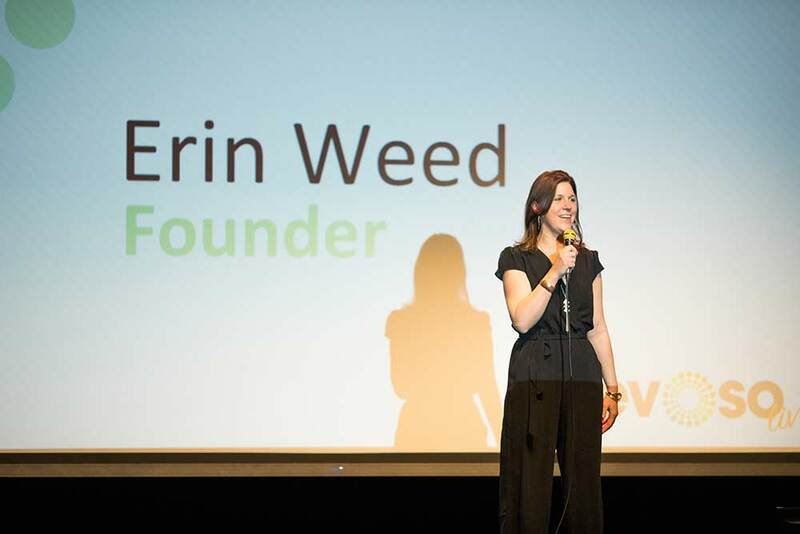 Erin Weed founded the organization Evoso for this reason. To help people discover their message, craft a speech, and share it with others. You may be surprised to learn that many influential leaders and celebrities have expressed fear and anxiety related to public speaking and performance. Like most folks, even among polished orators, the thought of public speaking evokes feelings of panic. Warren Buffet claims that he was once so “terrified” of public speaking that as a young student he’d select and organize college courses to avoid having to get up in front of people. [Forbes, 2013] The fear of public speaking is so great that it is considered to be one of the ultimate universal phobias. Most people would rather pay a visit to their dentist than speak in front of a group. On a Friday evening as snow fell and a blanket of cold enveloped the city of Boulder, a crowd of eager event-goers poured into the beautiful and beatific eTown Hall. Folks in the crowd could only imagine the words that would fill the air and the inspiration that would arrive within those words, born from the positive energy of individuals expressing their own, unique truth. 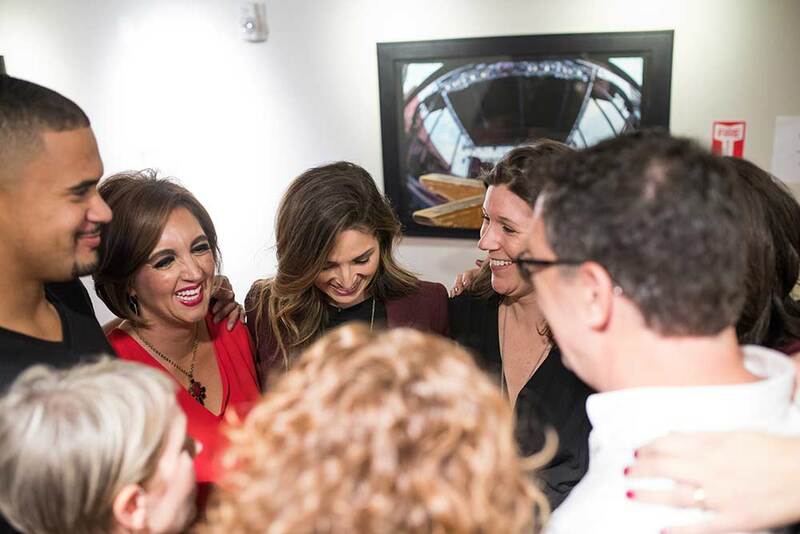 Eight speakers including Katica, invited the crowd to live inside of their personal truth, to gain a deeper feeling of connection and understanding of what makes each of us powerful, impactful, and able to create change within the world. In these times of upheaval, advancements in technology, uncomfortable change, but also limitless potential—it’s important that each of us understand how we are part of something much bigger than ourselves, and how through discovering and speaking our own personal truth we can change the world. From start to finish the crowd was enraptured. Stories of loss, struggle, belief, perseverance, and triumph connected everyone in the room. Men and women together, sharing one stage, unified family, friends and strangers. The positivity of the night was palpable. In a small way, each of those in attendance learned something deeper about themselves by listening to the stories of brave folks, willing to put their vulnerabilities on stage. Imagine what is possible when we seek and find our personal truths and discover our own unique ability to effect change within the world. Have you downloaded the Equity for All Report™ yet? 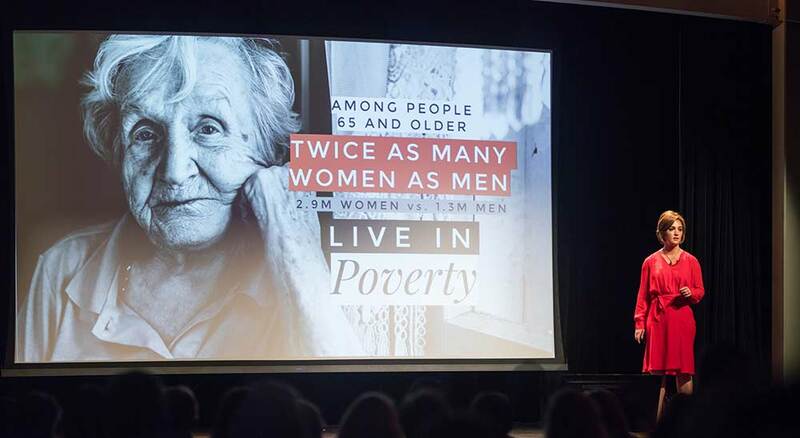 Learn how to increase your revenue and help change the narrative around gender equity. 01Gender Equity Vs. Gender Equality: What’s the Distinction? 05The Gender Pay Gap: How’d We Get Here? Pay structures are under review at global businesses as compensation studies show troubling gaps in men’s and women’s pay. For companies striving to close the gaps and address the root causes of the issue, what tools and policies really work, and how do they ensure a level playing field in the future?